1. Скворцова В.И., Стаховская Л.В., Пряникова Н.А., Мешкова К.С. Вторичная профилактика инсульта // Cons. Medicum. 2006. Т. 8. № 12. С. 70–73. 2. Connell L.A., Lincoln N.B., Radford K.A. Somatosensory impairment after stroke: frequency of different deficits and their recovery // Clin. Rehabil. 2008. Vol. 22. N 8. P. 758–767. 3. Иванова Г.Е., Суворов А.Ю., Стаховская Л.В., Варако Н.А., Ковязина М.С., Бушков Ф.А. Использование тренажера с многоканальной биологической обратной связью “Имк-Экзоскелет” в комплексной программе реабилитации больных после инсульта // Журн. высш. нерв. деят. 2017. Т. 67. № 4. С. 464–472. 4. Cifu D.X., Stewart D.G. Factors affecting functional outcome after stroke: a critical review of rehabilitation interventions // Arch. Phys. Med. Rehabil. 1999. Vol. 80. N 5. P. 35–39. 5. 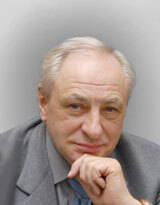 Frolov A.A., Mokienko O.A., Lyukmanov R.K., et al. Preliminary results of a controlled study of BCI-exoskeleton technology efficacy in patients with poststroke arm paresis // Bull. Russ. State Med.Univ. 2016. N 2. P. 16–23. 6. Vasilyev A., Liburkina, S., Yakovlev, L., Perepelkina, O., Kaplan, A. Assessing motor imagery in brain-computer interface training: Psychological and neurophysiological correlates // Neuropsychologia. 2017. Vol. 97. P. 56–65. 7. Kaplan A.Y. Neurophysiological foundations and practical realizations of the brain–machine interfaces in the technology in neurological rehabilitation // Hum. Physiol. 2016. Vol. 42. N 1. P. 103–110. 8. Frolov A.A., Biryukova E.V., Bobrov P.D., Mokienko O.A., Platonov A.K., Pryanichnikov V.E., Chernikova L.A. Principles of neurorehabilitation based on the brain-computer interface and biologically adequate control of the exoskeleton // Hum. Physiol. 2013. Vol. 39. N 2. P. 196–208. 9. Mulder T. Motor imagery and action observation: cognitive tools for rehabilitation // J. Neural. Transm. 2007. Vol. 114. N 10. P. 1265–1278. 10. Simmons L., Sharma N., Baron J.-C., Pomeroy V.M. Motor imagery to enhance recovery after subcortical stroke: who might benefit, daily dose, and potential effects // Neurorehabil. Neural. Repair. 2008. Vol. 22. N 5. P. 458–467. 11. Vuckovic A., Osuagwu B.A. Using a motor imagery questionnaire to estimate the performance of a Brain-Computer Interface based on object oriented motor imagery // Clin. Neurophysiol. 2013. Vol. 124. N 8. P. 1586–1595. 12. Brouwer A.-M., van Erp J.B.F. A tactile P300 braincomputer interface // Front. Neurosci. 2010. Vol. 4:19. 13. van der Waal M., Severens M., Geuze J., Desain P. Introducing the tactile speller: an ERP-based brain–computer interface for communication // J. Neural. Eng. 2012. Vol. 9. N 4:045002. 14. Chatterjee A., Aggarwal V., Ramos A., Acharya S., Thakor N.V. A brain-computer interface with vibrotactile biofeedback for haptic information // J. Neuroeng. Rehabil. 2007. Vol. 4:40. 15. Muramatsu Y., Niitsuma M., Thomessen T. Perception of tactile sensation using vibrotactile glove interface // IEEE 3rd International Conference on Cognitive Infocommunications (CogInfoCom) / Ed. S. Hassler. New Jersey: IEEE, 2012. P. 621–626. 16. Thurlings M.E., van Erp J.B.F., Brouwer A.M., Werkhoven P. Controlling a tactile ERP-BCI in a dual task // IEEE Trans. Comput. Intell. AI Games. 2013. Vol. 5. N 2. P. 129–140. 17. Yajima H., Makino S., Rutkowski T. M. P300 responses classification improvement in tactile BCI with touch-sense glove // Signal and Information Processing Association Annual Summit and Conference (APSIPA) / Ed. S. Hassler. New Jersey: IEEE, 2014. P. 1–7. 18. Либуркина С.П., Васильев А.Н., Гордлеева С.Ю., Каплан А.Я. Интерфейс мозг-компьютер на основе представления движения с вибротактильной модальностью стимулов // Журн. высш. нерв. деят. 2017. Т. 67. № 4. С. 414–429. 19. Lukoyanov M.V., Gordleeva S.Y., Pimashkin A.S., Grigor’ev N.A., Savosenkov A.V., Motailo A., Kazantsev V.B., Kaplan A.Y. The efficiency of the brain-computer interfaces based on motor imagery with tactile and visual feedback // Hum. Physiol. 2018. Vol. 44. N 3. P. 280–288. 20. Oldfield R.C. The assessment and analysis of handedness: The Edinburgh inventory // Neuropsychologia. 1971. Vol. 9. N 1. P. 97–113. 21. Доскин В.А., Лаврентьева Н.А., Мирошников М.П., Шарай В.Б. Тест дифференцированной самооценки функционального состояния // Вопр. психол. 1973. № 6. С. 141–145. 22. Ahn M., Jun S. C. Performance variation in motor imagery brain–computer interface: a brief review // J. Neurosci. Methods. 2015. Vol. 243. P. 103–110. 23. Gordleeva S.Y., Lukoyanov M.V., Mineev S.A., Khoruzhko M.A., Mironov V.I., Kaplan A.Y., Kazantsev V.B. Exoskeleton control system based on motor-imaginary brain–computer interface // Совр. технол. в мед. 2017. Vol. 9. N 3. P. 31–36. 24. Barsotti M., Leonardis D., Vanello N., Bergamasco M., Frisoli A. Effects of continuous kinaesthetic feedback based on tendon vibration on motor imagery BCI performance // IEEE Trans. Neural Syst. Rehabil. Eng. 2018. Vol. 26. N 1. P. 105–114. 25. Yao L., Xie T., Shu X., Sheng X., Zhang D., Zhu X. Long-term paired sensory stimulation training for improved motor imagery BCI performance via Pavlovian conditioning theory // 7th International IEEE/EMBS Conference on Neural Engineering (NER) / Ed. S. Hassler. New Jersey: IEEE, 2015. P. 90–93. Лукоянов М.В., Гордлеева С.Ю., Григорьев Н.А., Савосенков А.О., Лотарева Ю.А., Пимашкин А.С., Каплан А.Я. ИЗУЧЕНИЕ ХАРАКТЕРИСТИК ИНТЕРФЕЙСА МОЗГ-КОМПЬЮТЕР НА ОСНОВЕ ПРЕДСТАВЛЕНИЯ ДВИЖЕНИЙ С БЫСТРОДЕЙСТВУЮЩЕЙ ТАКТИЛЬНОЙ ОБРАТНОЙ СВЯЗЬЮ. Вестник Московского университета. Серия 16. Биология. 2018;73(4):269-276.